Randy Brandoff is the founder and CEO of Eleven James. As a well-respected entrepreneur in the luxury market, Brandoff started Eleven James in 2013 following his tenure as Chief Marketing Officer of NetJets, a Berkshire Hathaway company, where he served since the NetJets acquisition of Marquis Jet in 2010. As the first employee of Marquis Jet in 2001, Brandoff co- created the marketing and business development departments that drove $4 billion in sales and 80 percent customer retention, helping to grow the company to become the premiere private jet card company in the world. Brandoff also helped to launch Tequila Avion, a leading spirits brand made popular by the HBO series “Entourage,” where he was a co-founder and principal prior to the Company’s sale to Pernod Ricard in 2014. After a few years of planning, Eleven James officially launched in January, 2014. As the former chief marketing officer of NetJets®, a Berkshire Hathaway company (BRK), I had first-hand experience with, and played a catalytic role in, the proliferation of luxury collaborative consumption. Eleven James is a platform to experience luxury and applies these same collaborative concepts, starting with luxury watches. Private jets, vacation homes, classic cars, and many other historically prized possessions have all become accessible via various membership and shared ownership models that continue to expand and thrive. This paradigm shift is often attributed to generational differences in lifestyle priorities and interests. Research on the Millennial generation, the largest in U.S. history, repeatedly emphasizes their desire for connection and community (both online and off); reduced average incomes in comparison to previous generations; and, aversion to commitment: marriage, parenthood, and home ownership all trend later in life for Millennials vs. previous generations. The confluence of these factors means that dynamic platforms, like Eleven James, that tailor access and experience to each user’s personal desires address both demographic and psychographic needs. As with any business, there are a number of hurdles that one must clear when getting off the ground. Putting the more common building blocks of capital, growth, and product aside, one of the central opportunities for us is driving change across an industry built on tradition and longevity: we are bringing a new behavioral model and way of thinking to the luxury timepiece marketplace and the companies that have been leading this business since the beginning of time. I have immense respect and awe for the companies that have committed to the art and technique of telling time for over 250 years; but, at the same time, no industry is immune to evolution. Eleven James sits at the nexus of harnessing ever-better, new-age technology to provide variety, personalization, and service as never before while maximizing access to and enjoyment of an age-old art steeped in craftsmanship and history. I created Eleven James after being a watch fanatic for over half my life. I am passionate about horology and watches for many reasons, whether to match my mood, create connections with others, or represent my style at any moment in time. Our world is structured around the concept of time, and the merging of science and art that has enabled these intricate machines to persist on our wrist despite the rise of a digital age is truly remarkable. I want to make the elevated experience of wearing that kind of quality and sophistication accessible to those who have an interest in watches, no matter what their motivation may be. The future is bright, with more collections, more membership options, and a wider array of member benefits to elevate the Eleven James experience to a new level. This past year we expanded beyond individual to corporate memberships; and, in 4Q 2016, we launched our first women’s collection to meet increasing demand. Our ethos of accessibility, personalization, and service will be extended to different sectors as we grow. The luxury consumer evolution has arrived, transforming the traditional “buy and hold” model to a new paradigm of multiple “experiences and memories.” This is proven out across various products and industries in addition to ours, with Cadillac being the latest brand to embrace a subscription option for their luxury vehicles. Having successfully closed our latest round of funding this month and over $40M life-to-date, Eleven James is poised to provide our members with access to one of the largest watch collections in the world. 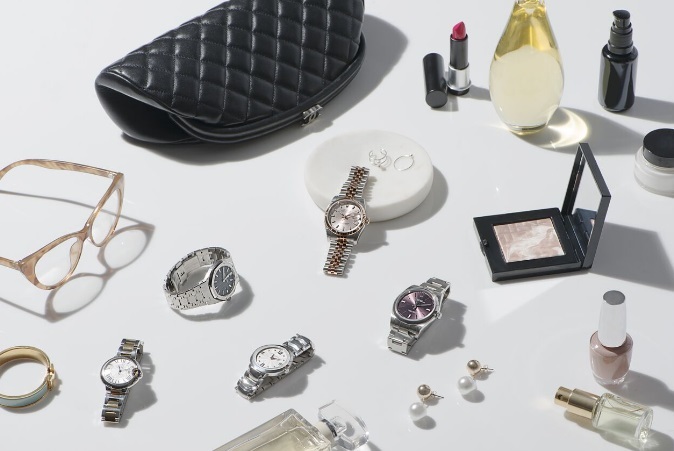 This ultimately manifests as a “collection in the cloud” that people can access through several touchpoints: our “Discover, Experience and Share” platform provides members with a luxury watch collection when, where, and how they want it. You can “discover/experience” several watches throughout the year and enjoy the variety and regular rhythm of rotating your watches seasonally and/or ultimately buy one of our timepieces that you can’t live without in our extensive, ever-expanding collection. Our platform also enables you to “share” watches you currently own with the rest of our member community, earning income on your asset that you can use towards other Eleven James platform perks, if you wish. Ultimately, Eleven James is about creating consistently enjoyable, memorable, and repeatable luxury experiences. In the months ahead, we are launching further enhancements to the overall member experience and new technology solutions that allow for even more personalization and flexibility. On two different occasions early on, we raised money in the nick of time, as we may not have been able to make the following payroll. Those are the moments where you learn just how dedicated you are to the vision, your team, and your path. In such moments, you certainly learn to separate what is vital from what is non-essential or noise. And, you gain full appreciation for the fact that good fortune plays a part in every successful journey. Today, we provide Members with unprecedented access to hundreds of the world’s most exquisite watch brands and styles. Eleven James offers an innovative experience, an exceptional variety, and unequaled value that appeal to new enthusiasts and passionate collectors alike. Membership provides the collector with the opportunity to experience before their next purchase, to revitalize their existing collection, and to enjoy a level of variety on a consistent basis that would be difficult to replicate for oneself. For new enthusiasts and those curious about high quality timepieces, Eleven James provides a modern way to experience and enjoy luxury watches without the robust commitments and tradeoffs of traditional ownership. Provide a vision that your team can adopt and make their own. Lead by positive example, demonstrating passion, sacrifice, and the willingness to make hard choices, when necessary. And, keep everything in the proper perspective while remembering to focus on individual success and growth and not just team success. Entrepreneurship is not for everyone. You need a high level of comfort with uncertainty, optimism, and the ability to envision and create that which you believe is possible, often in the face of obstacles and naysayers. But, if you are up for it, you will never have a steeper learning curve nor feel anything as professionally rewarding as creating something viable that solves a real problem(s), resonates, and lives/endures beyond its creators.